We are manufacturing Pressure Reducing Skids, which are used in various plants to provide suitable pressure for different applications. These are an important part of various steam systems. 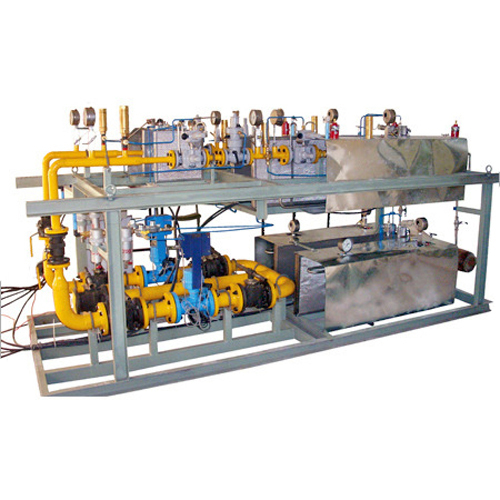 Their purpose is to decrease the pressure created by expansion process and hence ensure suitable gas supply in gas and liquid distribution pipelines. Pressure Reducing Skids deliver perfect performance owing to its avant-garde products such as heater, slam-shuts, filters and meter. Through this range, we offer commercially viable solutions that are ideal for companies engaged in the business of gas distribution and transmission system. In the said system, the initial gas pressure is more than 60-90 bar (g) and the delivery pressures (at houses or commercial units) is as low as 0.27 mbar (g).